There’s a new kid in town for menswear. Metaphorically speaking, that is. 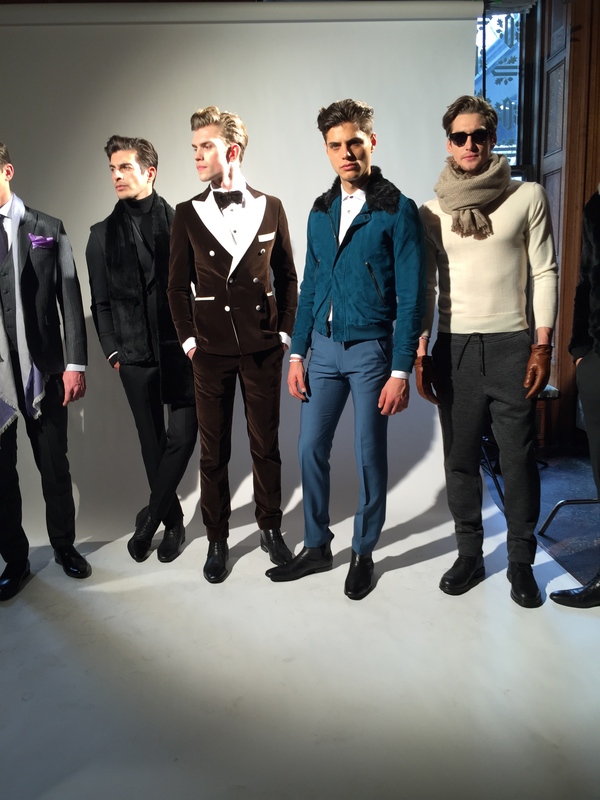 Stephen F isn’t really new, but he does seem to be taking New York by storm right now in a fresh, new manner. And as he should be. Suffice it to say, I have fallen for this handsomely talented man and his elegant work. 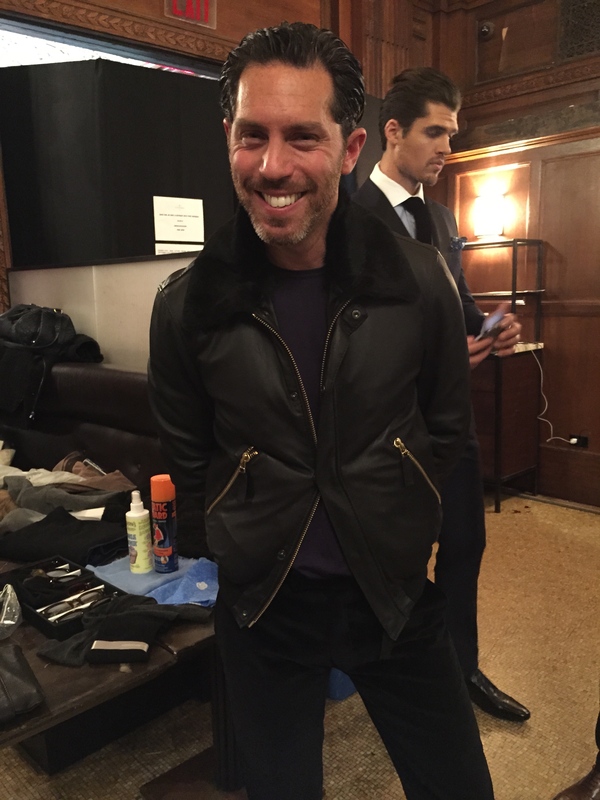 Swedish designer Stephen Ferber, creative director behind Stephen F menswear collection, sharing a smile backstage prior to his presentation at The Oak Room. 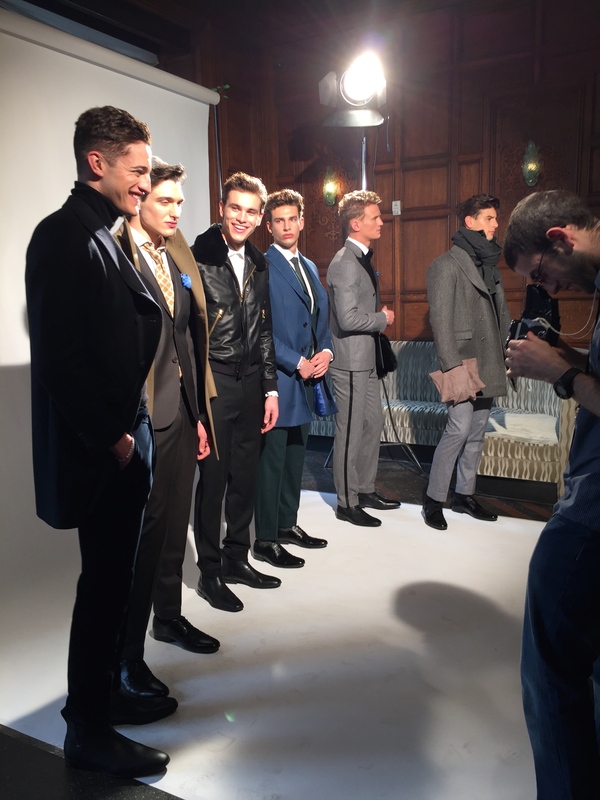 I first experienced Stephen F at last season’s New York Men’s Day, all tailored loveliness and sleek leather bomber jackets; however, the clothes were altered to fit female models and you couldn’t tell how they might suit a real guy. Fast-forward to this week’s show at The Oak Room at The Plaza Hotel — and all questions to that end were answered. 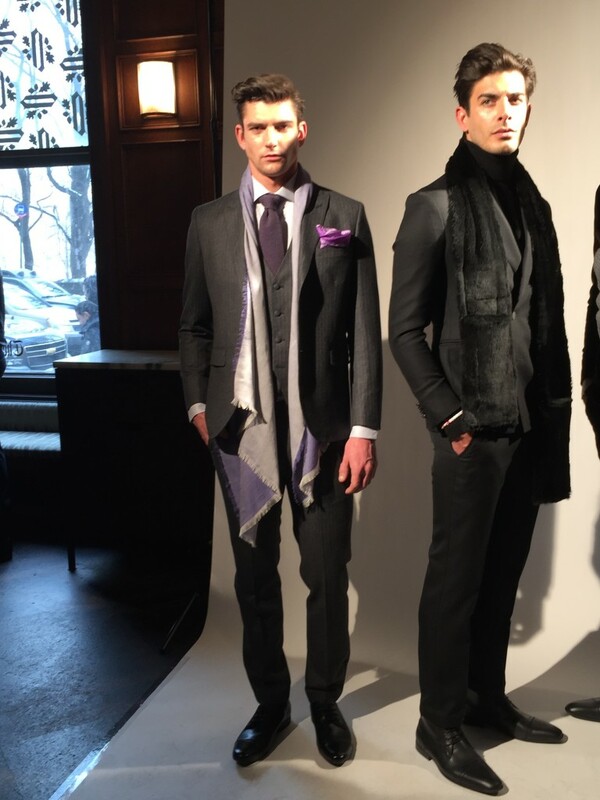 Creative Director/designer Stephen Ferber’s AW15 “Lili Collection,” serendipitously presented during a six-week window of availability before The Oak Room closes to undergo renovations (his PR genius Paula Rosado called it “The Last Photo Shoot at The Oak Room”), is a beautiful creative homage to Ferber’s maternal grandmother, who survived Auschwitz. With models maneuvering in front of three white seamless stations amid a stylish group of editors and buyers, the clothes spoke for themselves. 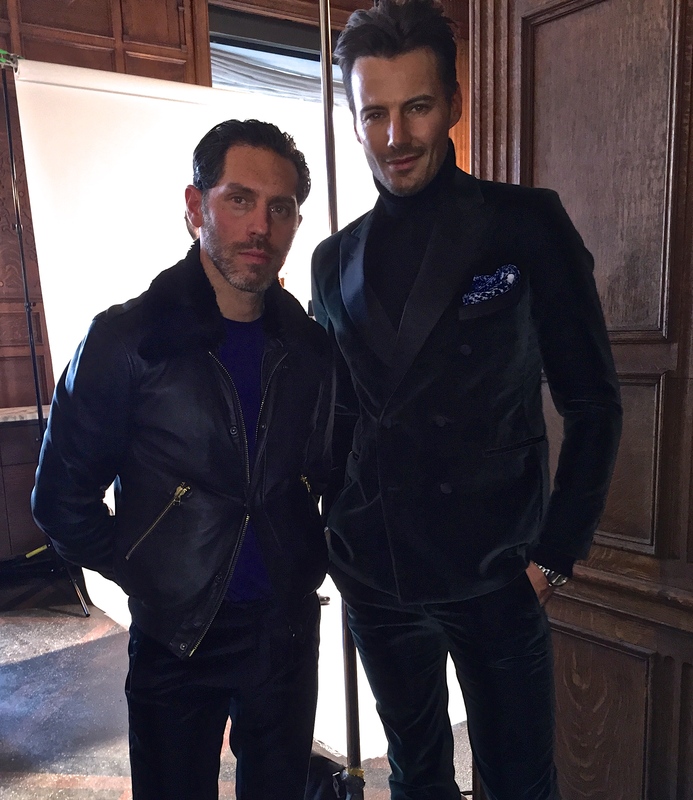 Brand ambassador, model and business partner Alex Lundqvist, seen below with Stephen, is the perfect face of the brand, which focuses on clothing crafted in the same Italian factories that assemble Zegna and Corneliani, as well as on sportswear that is elegant, suave and effortless. 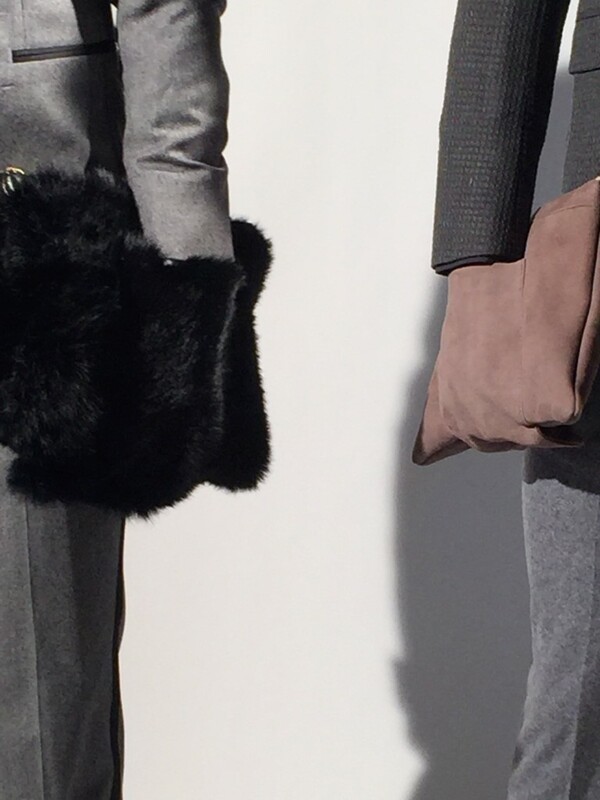 I was extremely impressed with the accessories, too, which included deerskin or fur portfolio/ hand warmers. 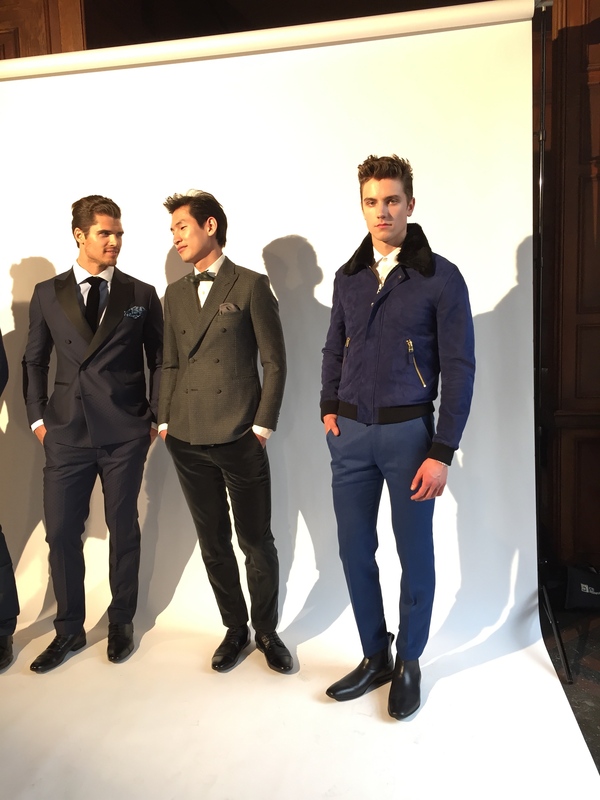 Stephen F’s clothes, dark, luxe, all sharp cuts and trim tailoring, represent wearable luxury today’s modern guy will be drawn to acquire. 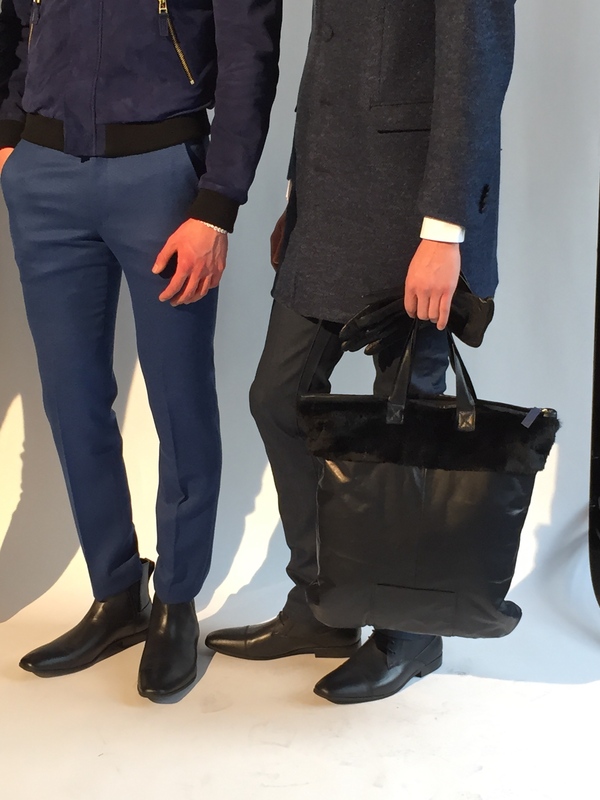 Speaking of buying, I spied Saks Fifth Avenue’s VP/Fashion Director Eric Jennings perusing the montages of models, making me hopeful that Saks will start carrying some of the Stephen F menswear. Stephen F’s creative results are too good not to be available in the States. Note that there should be news about a flagship shop opening here soon in NYC. Both Stephen and Alex mentioned they were waiting for paperwork to be finalized, possibly as early as yesterday. Stay tuned for updates here, guys, regarding Stephen F’s availability for next winter. I know you’re going to want to snap up this designer’s elegant clothing the minute you touch it, let alone wear it around a fitting room. 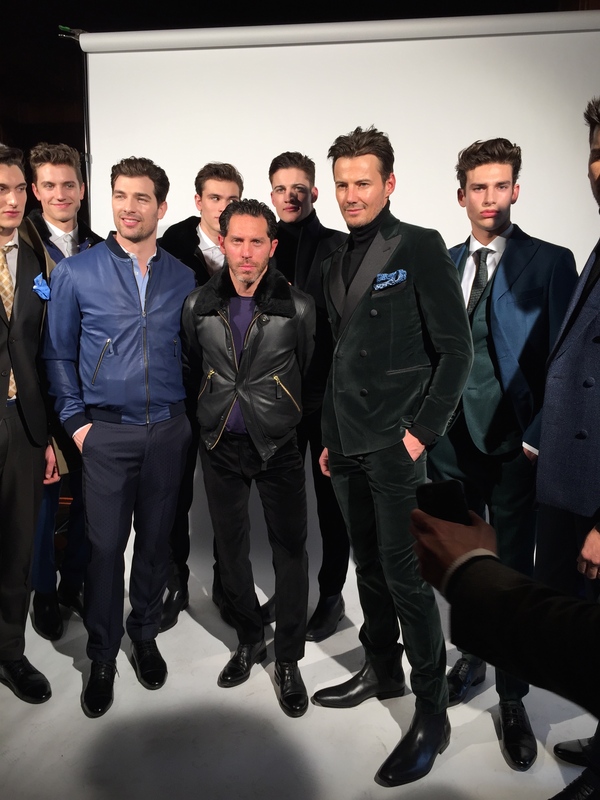 Designer/Creative Director Stephen-F flanked by business partner/model Alex Lundqvist and models. 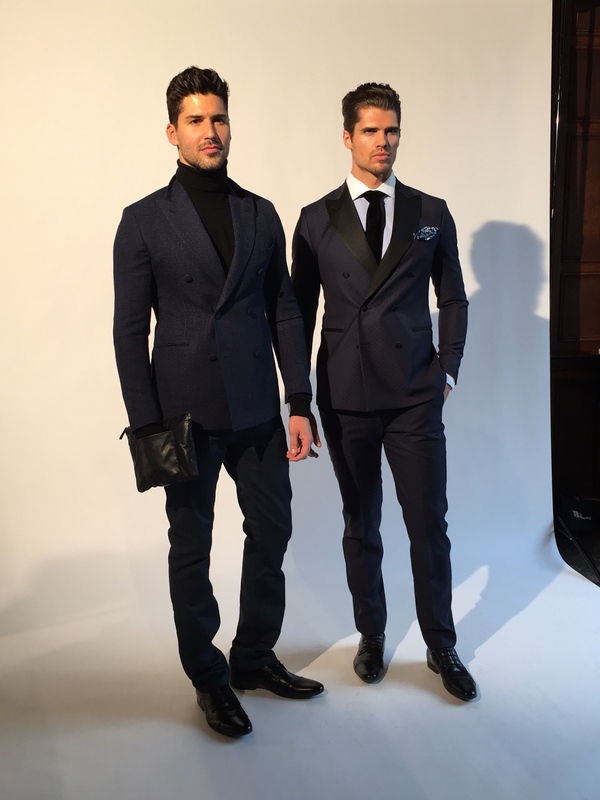 Stephen with business partner Alex Lundqvist, also the brand ambassador of the collection, seen here wearing a green velvet db tuxedo over a cashmere turtleneck. 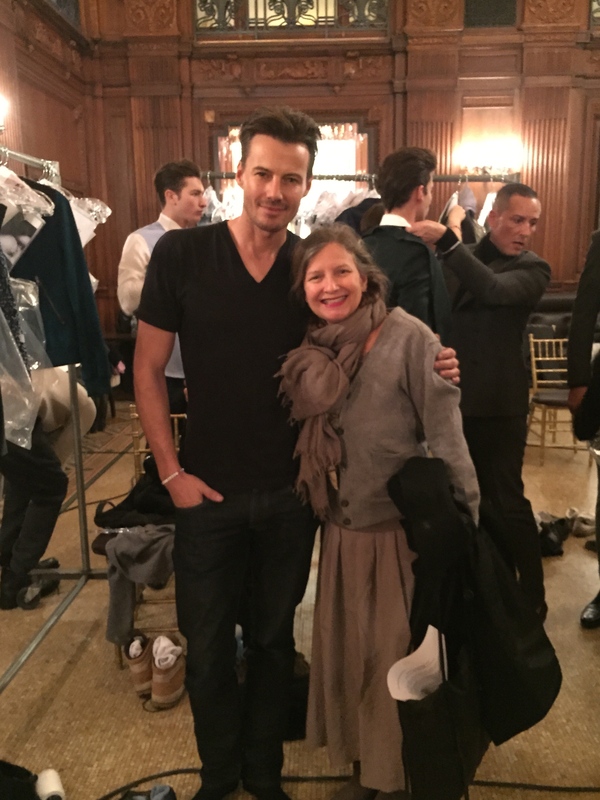 I couldn’t resist – I remember working with model Alex Lundqvist back in my DNR days. Such a handsome, lovely man, the business partner still has the sweetest personality.